Citation: Babakhani B. Cerebral Protection during Infrequent Positions: “A Pitfall in the Area of Critical Care”. 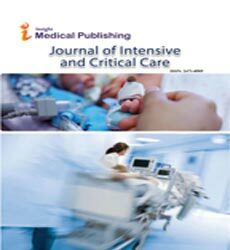 J Intensive & Crit Care 2016, 2:4. The inherent nature of the patient care in the setting of critical care necessitates keeping some patients in unusual postures for long periods of time. Reports on devastating outcomes of patients with positions such as prone, lateral or sitting under general anesthesia, emerges some concerns about the safety and feasibility of these positions in ICU [1,2]. The most formidable sequel; which traditionally makes the intensivist practitioner halfhearted to employ such positions, is unpredictable iatrogenic damage to central nervous system. Metabolism drives oxygen and glucose and these two later, drive perfusion. To meet cerebral metabolic demands, is a question of balance between demand and supply. Any distortion of such a balance; which puts cerebral perfusion pressure (CPP) at danger, may lead to the disturbance of adequate supply of vital agents to the brain. Forasmuch as CPP is defined as the difference between mean arterial pressure (MAP) and intra cranial pressure (ICP), significant undesired fluctuations in MAP and ICP can cause CPP to be less than adequate to meet cerebral demands. Both MAP and ICP can be dramatically affected by changes in body position. Because of limited compensatory hemodynamic mechanisms in critically ill patients, these unwanted effects may become more prominent, especially in those with reduced intracerebral compliance. The above-mentioned probable mechanisms of injury mandate continual observation of critically ill patients in unusual positions for any subtle change of neurologic performance. Due to the lack of complete patient cooperation in most cases and disturbed levels of consciousness, competence of such an evaluation as common practice for ICU patients remains castaway. Alternative measures should include monitors of brain functional status with special properties. Other than high sensitivity and acceptable predictive value, such a monitor should carry a high temporal resolution and be able to warn about any significant interruption in neurologic performance in a real time manner. Non-invasive serviceability would provide more benefit to such a monitor. Utilization of near infra-red spectroscopy (NIRS) in order to measurement of regional cerebral oxygenation saturation (rSO2) has been introduced since four decades. There are a large number of studies which have established feasibility of NIRS as a non-invasive, highly sensitive monitor of rSO2 with reasonable temporal resolution in the setting of both Operation Theater and ICU. Despite some reports on the advantages of NIRS as trend cerebral monitor for patients under general anesthesia with sitting or prone position, there is a lack of evidence in the case of employment of this monitor for critically ill patients who need repositioning to the aforementioned postures . Designing and implementation of studies targeting the brain safety; using NIRs during unusual postures, would encompass benefits for patients who need ICU care. Babakhani B, Schott M, Hosseinitabatabaei N, Jantzen J (2015) Unanticipated disturbance in somatosensory evoked potentials in a patient in park-bench position. Turkish J Anaesthesia Reanim 43: 202-204. Gracia I, Fabregas N (2014) Craniotomy in sitting position: Anesthesiology management. Curr Opin Anaesthesiology 27: 474-483. Babakhani B, Heroabadi A, Hosseinitabatabaei N, Schott M, Yekaninejad S, et al. (2016) Cerebral oxygenation under general anesthesia can be safely preserved in patients in prone position: A prospective observational study. J Neurosurgical Anesthesiology.